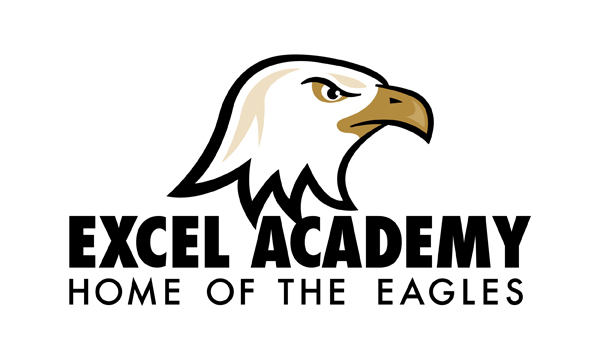 The mission of EXCEL Academy is to serve high school students in Denver that have dropped out of school, or that are at-risk of dropping out of school, with a proven, data-driven, accountable and high standards education program that (1) produces high numbers and percentages of high school graduates; and (2) prepares graduates for postsecondary success. Key Cognitive Strategies – Students will demonstrate skills involving problem solving, research, interpretation, and reasoning. All with precision and accuracy. Key Content Knowledge – Students will demonstrate key foundational content and “big ideas” from all core subjects. Academic Behaviors – Students will learn to time manage, possess study skills, set goals, have self-awareness and persistence. Course Expectations: ALL EXCEL Academy High School students are expected to conform to all policies and standards found within the EXCEL Academy Student Handbook. Support Make-up Work can be turned in up until the 7th week of the 9 weeks. Any additional content area support students must talk with their teacher. Parent Communication Parents will be contacted by phone and/or e-mail. In Level VI, the units center on an investigation of the idea of the “American Dream.” Students are asked to read and think about important questions presented in American literature�questions about freedom, justice, and the pursuit of happiness. Students read longer works of fiction and nonfiction, honing their skills of analysis and synthesis. Both creative and academic writing grows out of the reading and thinking about ideas presented in the units. Students move toward creating assessment portfolios that emphasize self-assessment in relation to standards and growth in skills. 1. R. 1 Read closely to determine what the text says explicitly and to make logical inferences from it; cite specific textual evidence when writing or speaking to support conclusions drawn from the text. W.1 Write arguments to support claims in an analysis of substantive topics or texts using valid reasoning and relevant and sufficient evidence. Activities 1.1-1.2 establish previous knowledge of the American dream, as well as other important unit ideas, skills, and concepts. Activity 1.3 reviews differences between primary and secondary sources to scaffold their understanding of a variety of texts in the unit, as well as prepare them to use survey results as functional texts. Activity 1.4 guides students through a working definition of the American dream and offers a few complicated and nuanced views of both the positive and negative aspects of that dream. Activity 1.5 moves students into a research project that helps them understand and present American philosophical trends that have influenced literature, as well as the concept of the American dream. This activity sets the groundwork for students to consistently refer back to these influences throughout the unit. Activities 1.6-1.7 require students to analyze poetic elements and synthesize information from multiple poems to create position statements. Poems increase in complexity, and students are asked to use a variety of strategies to make meaning. Activities 1.8-1.9 scaffold toward both Embedded Assessments by prompting students to identify and analyze real-life examples of the American dream and summarize and make connections between these examples. These activities also move students to look at the organization of nonfiction texts and apply similar syntactical choices in their own writing. Activities 1.10-1.12 examine literary elements in a variety of genres and use that information to guide students to draw inferences. These lessons use drama, music, and poetry to prompt students to understand, synthesize, and put into historical context American attitudes toward money and work. Activity 1.13 explores the idea of access to the American dream and helps review elements of arguments. Activity 1.14 provides instruction and practice in developing working hypotheses, creating questions, conducting a survey, and interpreting findings. Activity 1.15 revisits and revises the notion of the American dream through a historical speech and a controversial position paper. In addition, this activity reinforces elements of arguments by asking students to identify those elements in written texts. Activity 1.16 moves students to generate final working definitions of the American dream and begin thinking about clear definitions for their synthesis essays in Embedded Assessment 2. Activities 2.1-2.3 preview the unit and explore connections between news media and dissemination of both information and opinions in our society. Activities 2.4-2.5 examine a model of inductive argumentation and an editorial that relies on concession and refutation while debating the relevance of newspapers. Activities 2.6-2.8 introduce strategies for analyzing texts�both information and persuasive in intent � for evidence of biases and loaded language. Activities 2.9-2.12 scaffold Embedded Assessment 1 by guiding students through drafting and revising editorials and editorial letters, focusing on genre conventions and careful use of evidence to support their claims. Activity 2.13 scaffolds Embedded Assessment 1 by guiding students through drafting and revising letters to the editor, focusing on careful avoidance of fallacies. Activity 2.14 scaffolds Embedded Assessment 1 by guiding students through drafting and revising editorial cartoons. Activities 2.15-2.17 explore elements of satire, as used in print texts and cartoons, and how authors use irony and a range of tones to achieve their purposes as satirists. Activities 2.18-2.19 use guided writing and emulation to help students begin original satirical pieces while emphasizing how to use diction and various techniques for satirical effect. Activities 2.20-2.21 analyze Mark Twain’s use of satire in two contrasting pieces, examining how syntax can contribute to tone. Activity 2.22 focuses on how satirists can manipulate genre conventions and details of their subjects for satirical effect. Activity 3.1 previews the unit. Activities 3.2-3.3 build a climate for speaking one’s conscience and establish criteria for effective public speaking. Activity 3.4 introduces the role of syntax in John F. Kennedy’s inauguration speech and applies elements of effective public speaking. Activity 3.5 reviews and applies rhetorical appeals, revisiting Kennedy’s speech. Activities 3.6-3.7 introduce and apply rhetorical devices to Jonathan Edwards’s sermon and Patrick Henry’s speech. Activity 3.8 presents speeches for critique in terms of syntax, rhetorical appeals and devices, and delivery. Activity 3.9 presents two primary documents that contextualize Puritanism and the witchcraft trials in Salem, Massachusetts. Activities 3.10 presents Miller’s introduction to the setting and characters of his drama. Activities 3.11-3.14 study character, language, and conflict developments in Act One and compare film and written texts. Activity 3.15-3.17 presents a study of figurative language in Act Two and a close reading of a scene involving the major characters. Activities 3.18-3.19 present Act Three as the climactic confrontation of the play. Activity 3.20 presents two documents linking The Crucible to the McCarthy House Committee on Un-American Activities hearings. Activities 3.21-3.22 focus on the final scene of the conflict between hypocrisy and integrity and present a comparison between the written and film versions of the end of the play. Activity 3.23 presents a timed writing assignment that addresses literary issues of The Crucible. Activities 4.1-4.4 preview the unit and establish background information for Their Eyes Were Watching God with an emphasis on author Zora Neale Hurston’s distinctive style. figurative language, and tone; they also reinforce students’ understanding of the ways that literary elements, including motifs, symbols, plots, characters, and settings, contribute to the major themes in the text. Activity 4.10 gives students an opportunity for greater independence, as they use discussion groups to approach the next ten chapters of the novel. their own interpretations of the novel to excerpts from several critical reviews. Watching God. Students then revise a piece of their own work, making deliberate stylistic choices. Activity 4.13 asks students to assess their own communication skills. Activities 4.14-4.15 guide students to consider communication requirements for careers they might pursue and appropriate ways to present themselves through r�sum�s. Activity 4.16 prompts students to investigate how they might present themselves to a global audience. Activity 4.17 allows students to practice self-presentations in the face-to-face setting of interviews. Students work collaboratively, providing support for Embedded Assessment 2. Activities 5.1-5.3 introduce the unit and place Chris McCandless’ biography in historical and philosophical contexts, first by examining core tenets of transcendentalism, then by introducing the idea of a personal credo or sense of beliefs to contextualize Into the Wild. Activities 5.4-5.5 introduce Into the Wild by emphasizing how the cover design’s text features are slanted to appeal to certain audiences and how the author’s bias is made clear through his introduction. Activity 5.6 introduces elements of characterization and applies them to the main character. Activities 5.7-5.14 study Into the Wild for the purpose of developing the skills to analyze and critique content, theme, and stylistic elements. Activities 5.15-5.17 examine functions, uses, and effects of stylistic techniques employed by published authors to achieve particular effects on readers. Students employ those strategies when they create personal essays. Activity 5.18 guides students through the process of interpreting sample multi-genre research projects to examine elements, expectations, and construction of final products. Activities 5.19-5.20 guide students through the process of generating and critiquing a class research question and thesis. Students design rhetorical plans using the resource tool provided to explore, record, interpret, and synthesize research to extract and interpret facts and meld information into creative genres. Activities 5.21-5.23 model the tasks for Embedded Assessment 2; students collaborate to draft, revise, and edit group multi-genre research projects that include introductions, collections of genres linked thematically, conclusions, reflective endnotes, and annotated bibliographies. Activity 5.24 requires students to assemble their group multi-genre research projects and present their products to the class. Students evaluate each group’s multi-genre research project. This work prepares them for the individual project that comes next. Activity 5.25 asks students to select one topic for individual multi-genre research projects and identify what information is known and needed for additional research.